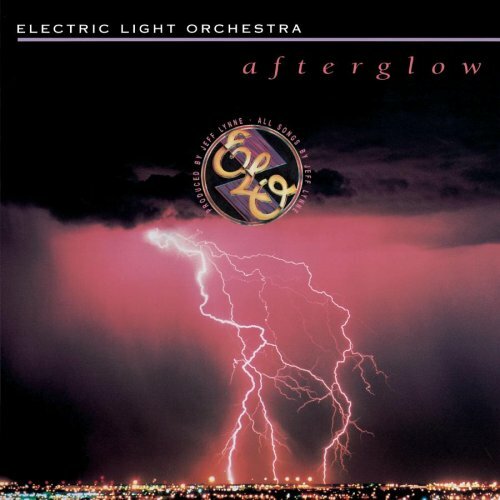 Picking up where the Beatles left off, ELO expanded the concept of great melodies, epic song structures and grand orchestrations. Images from the Michael Ochs Collection and Jane Scott Papers Collection at the Rock and Roll Hall of Fame Library and Archives. 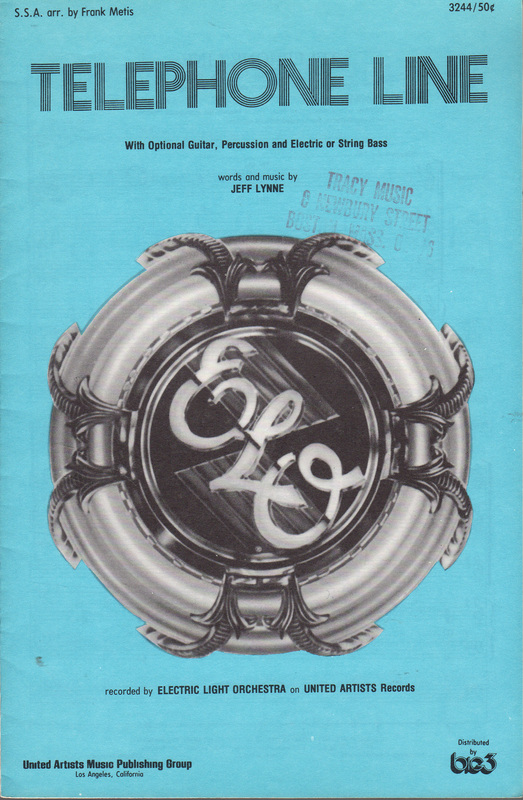 This article discusses The Move, the 1960s garage band out of which ELO grew with members including Roy Wood, Jeff Lynne, and Bev Bevan. 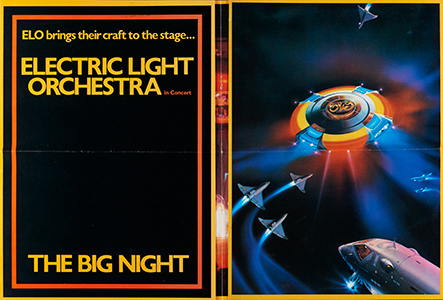 The author reviews a concert from ELO's legendary 1978 spaceship tour. Brunel show Filmed live Brunel University London, England 1973. Rockpalast Recorded live Cologne, Germany 1974. Fusion Filmed live New Victoria Theatre London, England 1976. 12 videodiscs (961 minutes) : sound, color. Disc two, Episode 33 (air date : September 14, 1973) features Electric Light Orchestra performing "Evil Woman." 174 pages : illustrations. Biography. 1 score, 5 pages. Singer, piano, guitar. 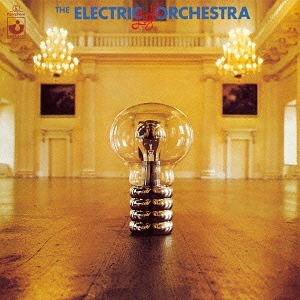 Recorded by Electric Light Orchestra on United Artists Records. 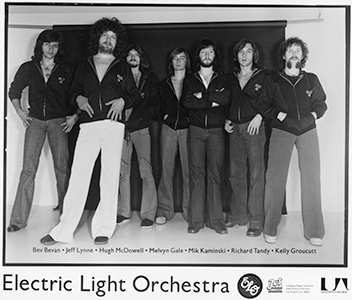 All archival materials related to ELO can be found here. Listed below are notable collections and items of interest. 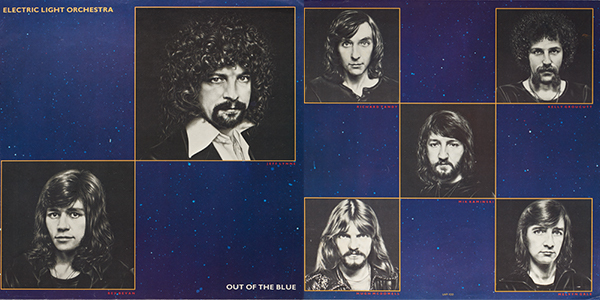 This collection includes materials related to ELO including a 1977 poster for "Out of the Blue" and a concert poster and program from "The Big Night" tour (spaceship tour). 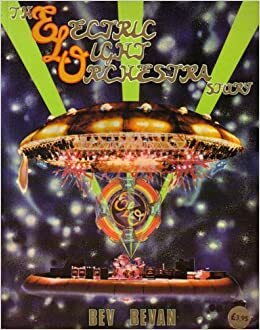 This collection includes an audio recording of an ELO and Fleetwood Mac concert on January 12, 1976, and a video recording of The Midnight Special TV series featuring ELO. Rock critical for the Plain Dealer from 1952-2002, this collection includes photographs and promotional material of ELO from 1973. From the Philadelphia Inquirer Photographs. From the Jim Clevo Papers.